Allergic rhinitis can have a significant impact on a patients quality of life. With many different treatment options, Rhinolight® Phototherapy has proved itself to be a trusted method of providing relief for allergic rhinitis, regardless of the triggering allergen. Rhinolight® is a high-intensity, ultraviolet light inserted into the nasal passage to reduce, and potentially eliminate, the allergic response to allergens. It is highly effective in relieving allergy symptoms. Up to two-thirds of patients suffering from hay fever have experienced complete relief from symptoms after Rhinolight treatment. It’s pain free. Thanks to the special composition of the light, patients do not experience any pain during the treatment. The light does not emit heat or a burning sensation but instead is a cold light within UV safe-range standards. It’s quick and easy. 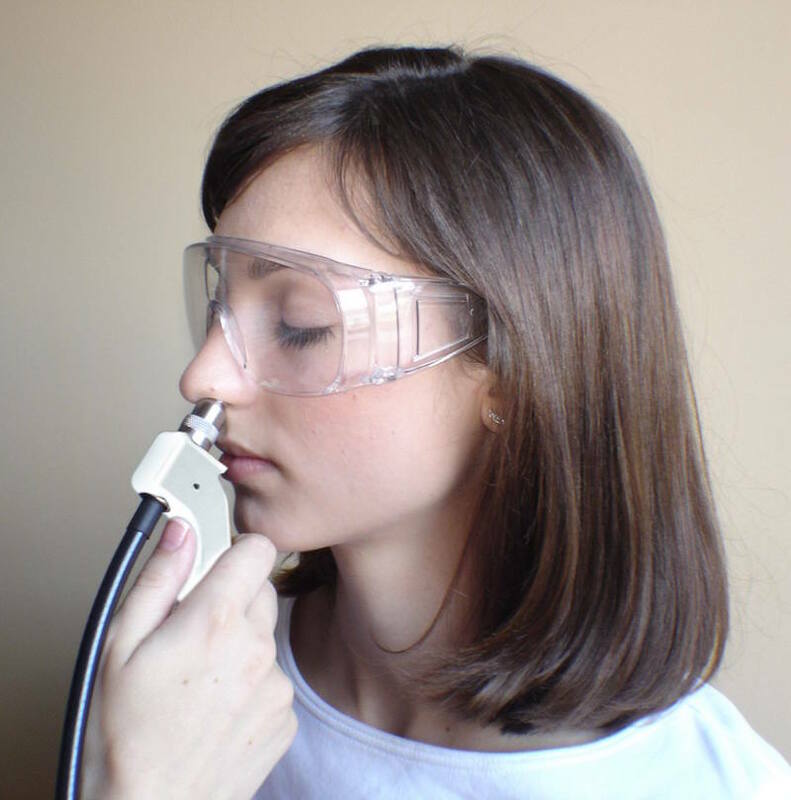 The phototherapy ultraviolet light is inserted into each nostril for only 2-3 minutes at a time, with the entire procedure taking about 10 minutes total. Safe for use in pregnancy and whilst breastfeeding. The treatment is not absorbed by the body, making it a safe procedure for both pregnant women and those breastfeeding. Oftentimes, oral medicines may be limited during pregnancy, proving Rhinolight® to be a positive and proactive treatment for allergic rhinitis relief. Minimal side effects. The most common side effect experienced by patients is a dry, crusty nasal cavity, which is usually slight and short-lived. Rhinolight® was adopted from dermatology research where it has been used to modify the immune response in inflammatory skin disorders. After years of research and development, Rhinolight was developed to provide a solution for allergic rhinitis. Learn more about Rhinolight® here.